Sorry about the delay on this post computer complications and busy work schedules managed to stall my photographer and I, but without due - better late than never! Saturday May 31st Land's End made their final pit stop at Old Orchard mall as they start to wrap up the getaway tour and head back to their headquarters in Wisconsin. Don't worry, if you couldn't make it to any of the events I'm taking you along for the ride. 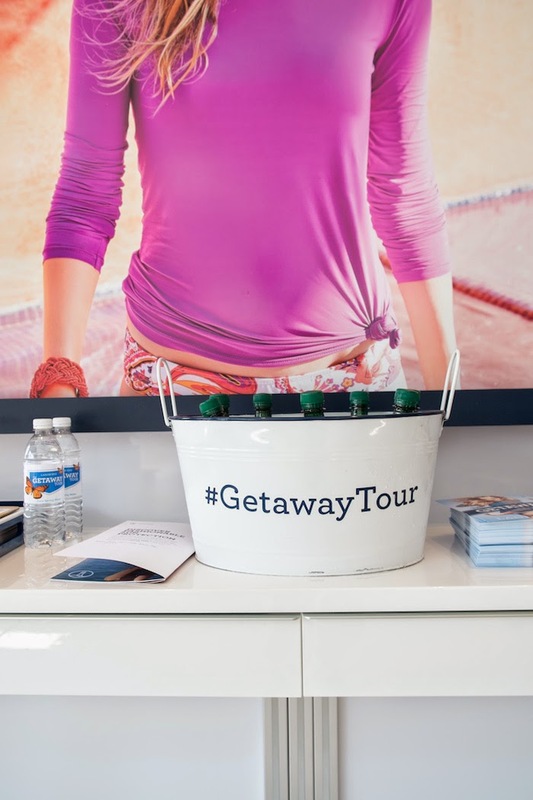 I mentioned previously how I had the amazing opportunity to not only take part in the ultimate swimwear experience, but have a chat with Michelle Casper (Senior Director of Public Relations) and Kendall Farr (Fashion Stylist on behalf of Glamour magazine). I don't know what I loved more the event itself or getting to talk about my favorite thing, fashion, with people who are as passionate about it as I am! The pop-up shop set-up itself was astonishing. A cute beach house on the go complete with sand dunes, cabanas, and a upper deck will umbrellas and beach chairs for guests to relax and soak up the warm sun. It definitely attracted quite the audience! Every guest got to enjoy the photo booth and receive a complementary fit and style session with experts from Land's End--some of which took part in designing the suits themselves. 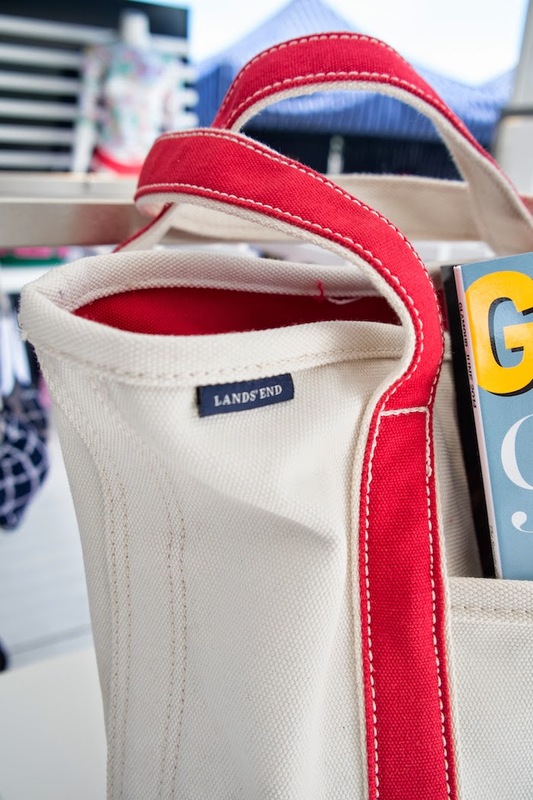 The first one hundred attendees to arrive received a VIP gift-bag filled will summer essentials from the latest issue of Glamour to the perfect books for summer reading, another plus is the bag makes the perfect beach tote! Let's not forget--you can still find your perfect swimsuit! Land's End supplies their customers with a swim guide to help you conceal, enhance, or create whatever you need! Visit the swim guide here to find a suit that will make you look AND feel good.